Alabama is one of only five states with no state funding for public transportation. A bipartisan pair of state legislators is hoping to soon change that. Birmingham-Democrat state Sen. Rodger Smitherman and Vestavia-Republican state Rep. Jack Williams have each sponsored legislation, SB85 and HB10 accordingly, that would create the Alabama Public Transportation Trust Fund to fund activities that increase public transportation options across the state. According to the proposed legislation, the fund would be maintained and administered by the Alabama Department of Economic and Community Affairs (ADECA). ADECA would make its decisions based off of recommendations made by a 13-member advisory committee. 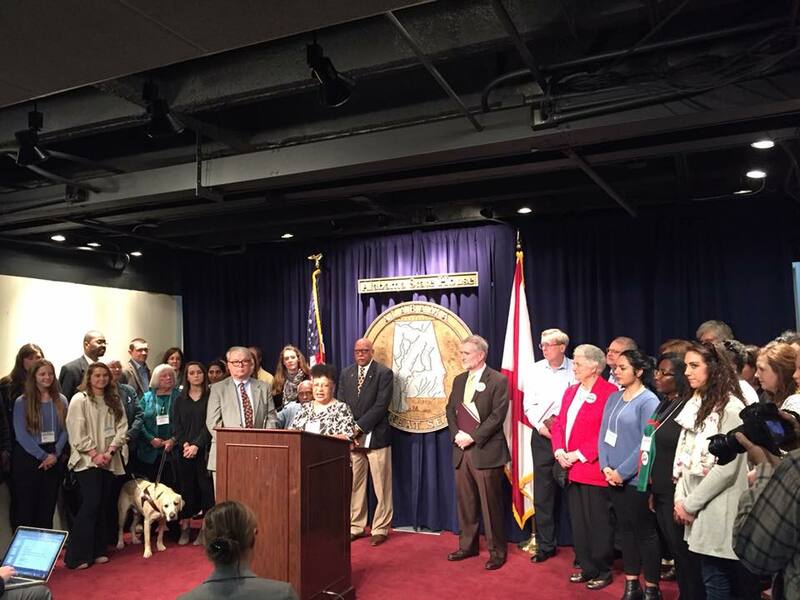 Alabama Arise — a statewide nonprofit, nonpartisan coalition of congregations, organizations and individuals promoting public policies to improve the lives of low-income Alabamians — is one of the voices who has come out support of the legislation. The organization held a press conference at the State House on Tuesday, as part of their 2018 Legislative Day, advocating on the legislation’s behalf. The trust fund would be supported by state funds and would also allow the state to apply for federal public transportation grants. “The state loses out on millions of dollars of transportation dollars every day. We are supporting legislation this year by Senator Rodger Smitherman and Rep. Jack Williams,” added Alice Paris, chair of Alabama Arise’s legislative committee. The Senate voted 26-0 for Smitherman’s bill in late January. Meanwhile, Williams’ bill won overwhelming House committee approval earlier in the month and is now awaiting a full House vote.